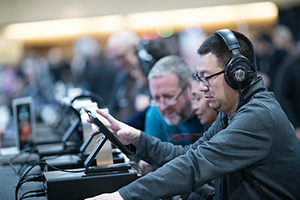 Why Exhibit in EAR GEAR EXPO at AXPONA 2019? Ear Gear Expo - Shows the latest headphones and personal listening products to more music lovers than anywhere in North America. AXPONA 2018 attracted a record 8,134 attendees from 24 countries and 50 US States. 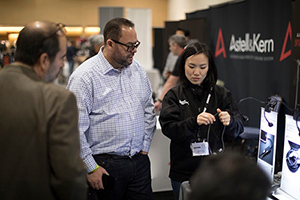 Meet the Buyers: 88% of attendees purchased or plan to purchase a product they experienced at AXPONA 2018. Meet the Press: Get product reviews as the global media attend AXPONA. Some 2018 product reviews are here. 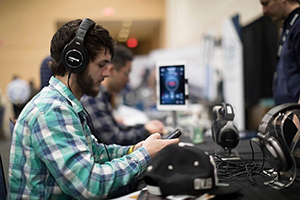 Headphone manufacturers, distributors, dealers participate to meet with an enthusiastic buying community and with industry leaders to expand their distribution channels. Join us!